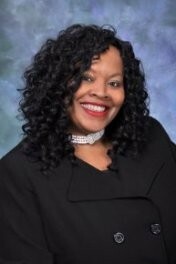 Ella D. Curry is the president of EDC Creations Media Group. She brings more than twenty-five years of PR and marketing experience to clients in film, music, publishing and corporate event planning. Her expertise, as well as her love for all things literary has earned her a reputation as a respected leader in the publishing/marketing industry. Widely recognized as a leading expert on African American Internet book promotion she is asked to speak and/or moderate panels at literary events and conferences across the nation. Her client list reads like the Who's Who Elite of publishing and with good reason! Ella uses the latest technology and proven business models to create golden success behind every project and book she launches into the world! EDC Creations is the parent company of the Sankofa Literary Society, the Black Authors Network Radio Show and Black Pearls Magazine. The Sankofa Literary Society empowers independent and/or self-published authors through mentoring programs. The popular Black Authors Network radio program offers new authors a chance to showcase their books to thousands of readers weekly. Black Pearls Magazine, is a online literary destination for thousands bookclubs and social network fans around the globe. As the host of award-winning BAN Radio Show and editor of Black Pearls Magazine, Ella Curry has interviewed award winning authors, celebrated journalists, and community leaders such as: the legendary Dr. Maya Angelou, Alexis M. Herman former U.S. Secretary of Labor, The View's Emmy award-winning co-host Sherri Shepherd, Pulitzer Prize winning columnist Leonard Pitts Jr., New York Times bestselling authors Walter Mosley, Kimberla Lawson Roby, Mary Frances Berry, Mary B. Morrison, Carl Weber, Wahida Clark and Mary Monroe. In addition to interviewing change agents, she has showcased such top selling authors as: Dr. Daniel Black, Dr. Cornell West, Paula Giddings, Haki R. Madhubuti, Marita Golden, Dr. Lakesia D. Johnson, Sonia Sanchez, social activists Dr. Dorothy Irene Height and Jayne Cortez, social psychologist Wade W. Nobles, Olympian Devon Harris, children's book author Eloise Greenfield, and Dr. Bernard Walker former astronaut. While providing media coverage for the Congressional Black Caucus Author's Pavilion and Book Expo America for six years, Ella has found that interviewing profound community leaders, shaped her own life and business. She has interviewed and learned from: Dr. Julianne Malveaux, political commentator and 15th president of Bennett College, award-winning journalist Gwen Ifill, Dr. Brenda Greene, Exec. Dir. of the Center for Black Literature, Medgar Evers College, Annette Gordon-Reed, and American historian and Harvard Law School professor, and Lynn Richardson, the The Mortgage Guru and leader of MC Lyte's Hip Hop Sisters Foundation. Ella Curry has also interviewed award-winning actors and actresses such as Hill Harper, Queen Latifah, Jennifer Hudson, Dakota Fanning, Tristan Wilds, Tanya Wright, Tyrese Gibson, Bern Nadette Stanis, Pam Grier, Winter Ramos of Love & Hip-Hop NY and international, motivational speaker Lisa Nichols from the Secret DVD. She has also been honored with interviews with musical artists jazz great Ron Carter, Ledisi, MC Lyte, and the celebrated drummer Cora Coleman-Dunham. You can maintain your faith even through adversity and begin to live a life of purpose. Listen to the author read from the book. In Life Goes On, author Allison Gregory Daniels shares how she did just that. She chronicles her life experiences and her refusal to let events destroy God’s calling for her. She offers testimony to the trust that she placed in God and the knowledge that her past experiences did not have to destroy her future dreams. She knew that she would dream again, love again, and laugh again once she changed how she dealt with her past disappointments and found her true path. The Word of God warns us that the enemy wants to steal, kill, and destroy; even so, if you let Jesus into your life, you can live life more abundantly with His love and guidance. Life Goes On challenges and encourages each of us to look inside ourselves for the changes we want to see and make a difference. The answer lies within each of us, and the time has come to take back our lives and change how we think about ourselves and how God fits into our everyday lives. Life Goes On is a dynamic, step-by-step guide offering powerful tips, strategies, and tools for overcoming your past hurts, surviving emotional setbacks, and handling your emotions. Take back your life, and learn to live again. 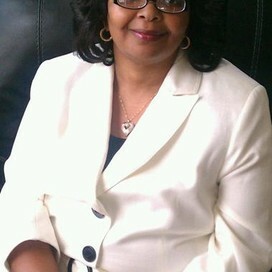 Allison Gregory Daniels is president and CEO of ADG Enterprises and All God’s Doing Ministries. She conducts workshops and seminars throughout the United States and abroad for women. She is the author of more than twenty-one books and the coauthor of three books. Currently a book consultant and published author, she lives in Upper Marlboro, Maryland with her husband and two daughters. Allison speaks with authority, wisdom and experience. Her books are certain to breathe life into those who feel like that can't go on anymore because of their life circumstances. 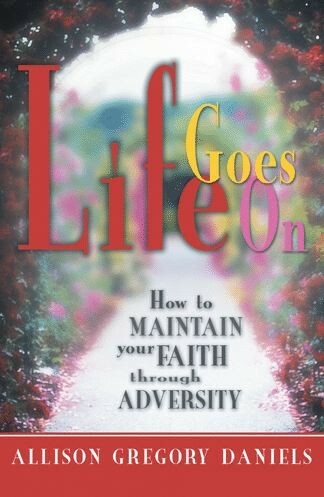 Her book Life Goes On offers an example of maintaining faith through adversity. Her readers and followers will benefit from her examples. Life Goes On will challenge and encourage readers to look inside themselves for the changes they want to see. This is an ideal book for book clubs, women ministries, women retreats and for Christian women who seek support on their spiritual and emotional journey through life. This dynamic book offer powerful tips, strategies and tools for overcoming your past hurts, surviving emotional setbacks and handling and maintaining your emotions as life goes on. WE HAVE GIFTS FOR READERS! Spread the word.... we want to bring more entertainment, education and enlightenment to the community! LIKE this page and post it to Twitter. Each week we will select 3 people from the "shares" to receive gift books from Ella Curry! Program ends on Aug. 28, 2013! So tell all of your friends about us by clicking on the Facebook and Twitter links! Thank you! You can maintain your faith even through adversity and begin to live a life of purpose. In Life Goes On, author Allison Gregory Daniels shares how she did just that. She chronicles her life experiences and her refusal to let events destroy God’s calling for her. She offers testimony to the trust that she placed in God and the knowledge that her past experiences did not have to destroy her future dreams. She knew that she would dream again, love again, and laugh again once she changed how she dealt with her past disappointments and found her true path. The Word of God warns us that the enemy wants to steal, kill, and destroy; even so, if you let Jesus into your life, you can live life more abundantly with His love and guidance. Life Goes On challenges and encourages each of us to look inside ourselves for the changes we want to see and make a difference. The answer lies within each of us, and the time has come to take back our lives and change how we think about ourselves and how God fits into our everyday lives. Listen to the author read from the book. BPM: Do you have anyone in your life that was heavily influential in you deciding to become an author? My mother has been heavily influential in my writer because she encourage me to pursue my dreams and never give up. I have been blessed to have family and friends around that encourage me daily to continue to pursue my dreams and my heart desire. BPM: Introduce us to the primary topics in your book. What makes each one special? Life Goes On is a dynamic, step-by-step guide offering powerful tips, strategies, and tools for overcoming your past hurts, surviving emotional setbacks, and handling your emotions. Some primary topics include: The Purpose of my trials, Embracing Change and Personal transition and Life Goes on even in the midst of it all. Each chapter is special to me because I hope to instill confidence, faith, hope and value into the hearts of wounded women. BPM: What inspired you to write this book? Does your faith or education inspire your writing? I was inspired by God to write this book to share with other women that you are not alone. I wrote this book while I was going through a healing process within my own life. The Life Goes On book will challenge and encourage you to look inside yourself for the changes you want to see and make a difference. The answer lies within each of us, and the time will come where you will have to take back your life and live again, love again, laugh again, dream again and just began again because Life Goes On. BPM: What are you most thankful for today? I am most thankful for God finding Favor in me to be a vessel to help others in their healing process through writing. I am thankful for the opportunity to be able to share my ministry with my daughters as well s my audience. BPM: Ultimately, what do you want readers to gain from your book? When someone finishes your book, what would you like for them to do? Ultimately, I want readers to enjoy reading my book and gain knowledge and insight from the written word. I believe that me sharing my life experience with other women from all walks of life makes this book unique because I pour myself out in each chapter and take you into my world. I hope that this book will encourage, motivate, elevate and uplift each and every person that reads this book. I hope that readers will share my stories with their friends and loved ones once they finish reading the book. BPM: What are your goals as a writer? Do you set out to educate? Entertain? Illuminate? Inspire? My goal and purpose is to inspire others to write and share their story to help others with their healing process. I hope to educate and empower others to never give up and never give in. I want to be an inspiration of hope to all that I meet along my journey that nothing is impossible if you continue to believe in yourself because Life Goes On. My writing offers the following legacy to future readers to remind them to keep pressing on when others say no. Don’t give up o yourself and don’t give up on your dreams. BPM: Share with us your latest. How may our readers follow you online? I’d be happy to! Thank you so much for asking this question because I’m elated about this book but I am working on my next book, it’s not the only book that I’ve written. I’ve self-published over 21 books and co-author 3 books. I’m currently writing my next book and working on a few projects for other writers. I also offer book consultation sessions for aspiring writers that will guide them through the often complicated process of writing and publishing their own book. Please visit my website, www.AllisonGDaniels.com, for more information under book consultant. The Greatest Gift - Your Support! Please consider joining the EDC Creations team by becoming a blog tour host, radio interviewer, chat host or by purchasing one of the books featured here and giving it to a friend. We welcome the community into the program and will support any of our partners with promotion in return. Spread the word.... we want to bring more entertainment, education and enlightenment to the community! LIKE this page and post it to Twitter. Each week we will select 3 people from the shares to receive gift books from Ella Curry! Program ends on August 28, 2013! Authors if you need the most effective book promotions in the industry, contact Ella Curry and EDC Creations, by clicking here today.